Ahead of meeting Theresa May in Downing Street, Democratic Unionist Party (DUP) leader Arlene Foster has kept her wish list firmly tucked in her pocket, giving few details away. However, an analysis of her party's position on key issues and its stated objectives in recent election manifestos provide clues as to where the Tories may have to give ground to secure a deal to keep them in power. The DUP campaigned for Brexit but is mindful 56% of people in Northern Ireland voted Remain. As such, the party essentially advocates a softer Brexit, with particular focus on not disrupting movement across the Irish border. It wants a comprehensive free trade and customs agreement with the EU and arrangements to facilitate ease of movement of people, goods and services. The party also wants safeguards for UK citizens in the EU and those from EU member states living in the UK. The maintenance of a "frictionless" border between Northern Ireland and the Republic of Ireland is a must, but the party also does not want to see customs controls moved across the Irish Sea as a consequence. Setting up checks and controls for Northern Ireland arrivals at ports and airports in Great Britain would create a border between the region and the rest of the UK, the party contends. Likely Government response: The Prime Minister has already committed to maintaining the Common Travel Area agreement with the Republic of Ireland, which pre-dates the EU. She has said she wants a "frictionless" border with Northern Ireland. But there is great uncertainty as to how this will be achieved, given that Mrs May wants to end free movement, leave the single market, and leave the customs union to strike free trade deals elsewhere. The DUP position would require some form of deal with EU and the party is unlikely to support "no deal". But there are signs Mrs May will have to pursue a "softer" Brexit after losing her Commons majority and has committed to getting a reciprocal deal on UK and EU citizens' rights. It will come as no surprise if the DUP seeks more money for Northern Ireland as the price for its support. In what form such investment takes will be up for negotiation. In previous peace process deals, the Government has had to be creative to ensure it did not look like it was treating the region more favourably than the rest of the UK. As such, the DUP may seek enhanced borrowing powers or flexibility on budgetary controls rather than hard cash. Investment in infrastructure projects and capital funding to enhance health and education facilities may also be requested. The party is also likely to ask for Government assistance in attracting more foreign direct investment to Northern Ireland. The DUP also wants city deals akin to those struck by cities like Glasgow and Manchester. The economic stimulus agreements give cities greater powers to drive investment and regeneration. Likely Government response: The Tories have already outlined support for city deals in Northern Ireland in their manifesto and it is likely they will be willing to back further investment in the province. But the Government will not want to break the Barnett Formula which dictates how spending is allocated to the home nations, and risk arguments with Scotland and Wales, and will not want to be seen to give Northern Ireland favourable treatment. The DUP wants to see the triple lock on pensions retained. It is also against any move to limit those who can receive the winter fuel allowance. It has previously called for an end to the so-called bedroom tax. The party also wants to see the national living wage increased, a further uplift in the personal tax allowance, and the potential abolition of the TV licence. The party also wants to see short haul Air Passenger Duty abolished, arguing that the departure/arrival tax puts Northern Ireland up against it when competing against the Republic of Ireland, where the duty has been abolished. Another move the DUP believes would help boost visitor numbers is a reduction in VAT paid by tourism businesses. Likely Government response: Mrs May could well use a DUP deal as an excuse to drop plans to scrap the triple lock and to means-test the winter fuel allowance, pledges which were apparently deeply unpopular during the election campaign. The Tories have already pledged to increase the minimum wage and the personal tax allowance. Movement on the other issues may prove more difficult. The DUP supports a recent recommendation from Westminster's Defence Committee that a statute of limitations be introduced when it comes to prosecuting security force members who served during the Troubles. 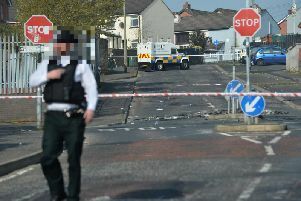 The call comes amid concern, shared by many Tory backbenchers, that police and prosecutors are placing an undue focus on the actions of state actors during the conflict and not rigorously pursing paramilitaries - an allegation the authorities deny. The DUP also wants a UK-wide definition of a victim that excludes perpetrators killed or injured while carrying out violent acts. Likely Government response: Ministers must be very careful not to anger republicans already bristling at the potential deal with the unionist DUP and what it means for the Government's role as a mediator in power-sharing in Northern Ireland. Unlikely. Having helped deliver a number of major events to Northern Ireland, such as the Giro d'Italia and golf's Open Championship, the DUP may ask for support hosting other high-profile international show-pieces. The party has also branded it "unacceptable" that Northern Ireland has never hosted the main national event for Armed Forces Day in the UK. Likely Government response: One-offs like this could well be offered up by the Government although Armed Forces Day may prove controversial in Northern Ireland. What is not likely to be on the DUP's shopping list? The DUP's social conservatism on issues such as gay marriage and abortion have come in for a lot of scrutiny since it assumed the role of parliamentary kingmaker. However, it is unlikely these will feature in the negotiations with the Conservatives. The power to reform the legal status quo in Northern Ireland on those contentious social issues is devolved to Stormont, so should not factor at Westminster - unless of course the current talks to restore power-sharing fail and direct rule is reintroduced.